Here's one eco-friendly project of Quanta Paper Corporation, a R3RUN for Sustainability that means Reduce, Reuse & Recycle. This project aims to raise awareness to all Filipino families about the risk in Global Warming. As we experience the unusual change of the weather and its inappropriate risk to our environment, people especially women were challenged by all these natural catastrophes like floods and other extreme weathers. Many huge companies have already implemented the "Green Company Image". Most areas all over the world and that includes Philippines are already limiting the use of plastics, instead the use of paper bags or eco-bags would really contribute a lot in saving and sustaining the environment. Inclusive of a race bib, singlet and finishers kit. Runners are strongly advised to also bring their own hydration bottles to avoid excessive paper cup waste. Activity booths are also available after the run. You may also use a white ledger office waste or used papers (min. of 1kg) and swap it for Quanta products. Registration period will be from June 5-July 25 only, Thursday to Sunday from 12nn-8pm. They only accept in-store registrations; Runnr BHS BGC, Runnr Trinoma, Toby's Shangri La, Toby's Mall of Asia, Toby's Robinsons Place Manila. SHARE this R3RUN with your friends and have a chance to win a FREE RACE KIT! 1. 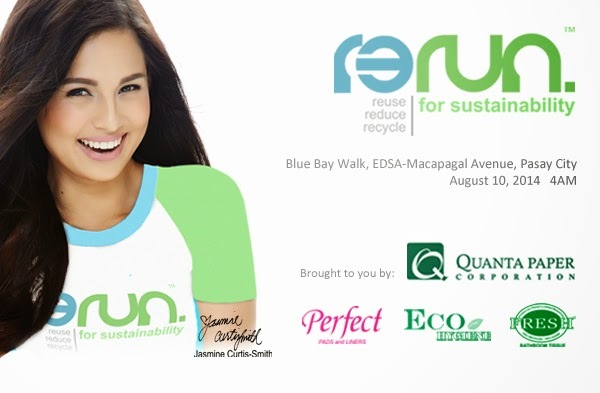 LIKE R3RUN For Sustainability FB PAGE HERE. 2. Share the R3RUN FB Page link and invite others to like it too. Take part. Be inspired. Make a change. 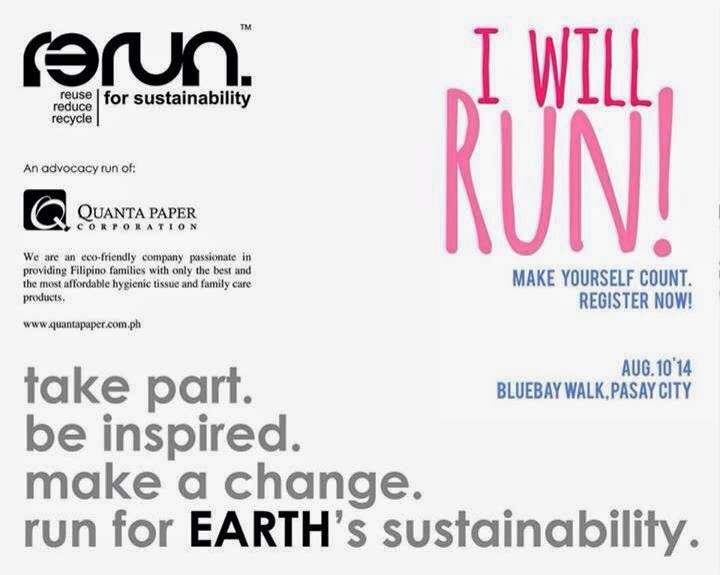 Run for Earth's sustainability. 4. 10 Winners will get (2) 4k race kits of R3RUN and will be notified thru private message. Spread the word and LET'S RUN!